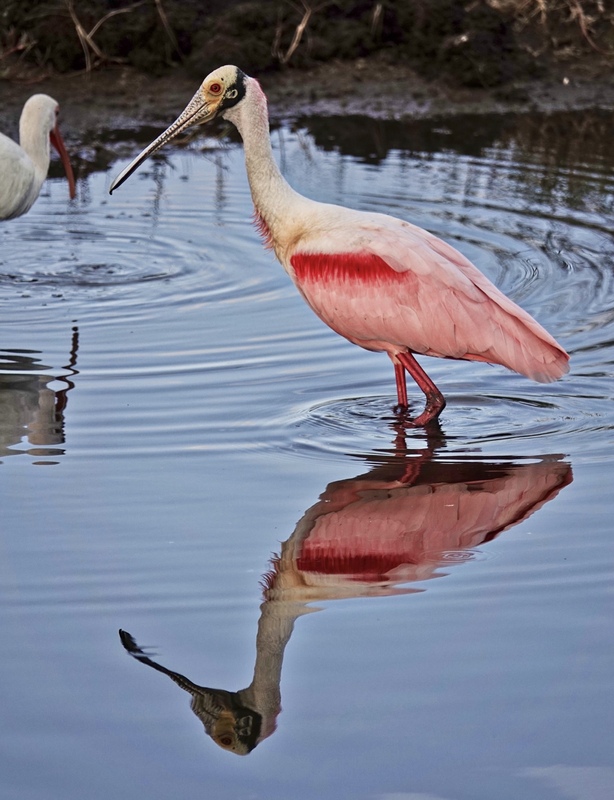 On my very first trip around Blackpoint Wildlife Drive at Merritt Island National Wildlife Refuge in Titusville, Florida, the Roseate Spoonbills were close to the road, only about a mile into the drive. There have been years, many years, when I did not see them in numbers and certainly not close to the road for the whole week of the Space Coast Birding and Nature Festival. Such a treat! I zoomed back a bit to 500mm equivalent to get this bird and its reflection in the frame at the same time. Wonderful creature! Sony RX10iv as above, 1/500th @ f4 @ ISO 100. Processed in Polarr.